Known for its steep terrain, lack of crowds and plentiful powder, Castle Mountain is poised to expand significantly while staying true to its roots. Something interesting happened in Western Canada over the past few decades. Just as many struggling small- and mid-sized American ski areas looked toward government ownership or nonprofit charity as solutions, private investors up north did the opposite, convincing communities to sell their publicly-owned ski areas for a brighter future. Residents in the town of Golden, British Columbia voted by a 97 percent margin in 2000 to give up control of a one-Riblet ski area called Whitetooth to a Dutch construction company. After debuting one of the world’s greatest gondolas and two new quad chairs, the renamed Kicking Horse Mountain Resort was sold to the Resorts of the Canadian Rockies conglomerate in 2011. Golden, BC sits along the Trans-Canada Highway and saw significant development in the early 2000s with the creation of Kicking Horse Mountain Resort. Seven years after Golden’s experiment, a Denver-based developer bought the Powder Springs ski area from the City of Revelstoke and announced a $22 million contract with Leitner-Poma Canada to create North America’s first resort with a vertical greater than 5,500 feet. 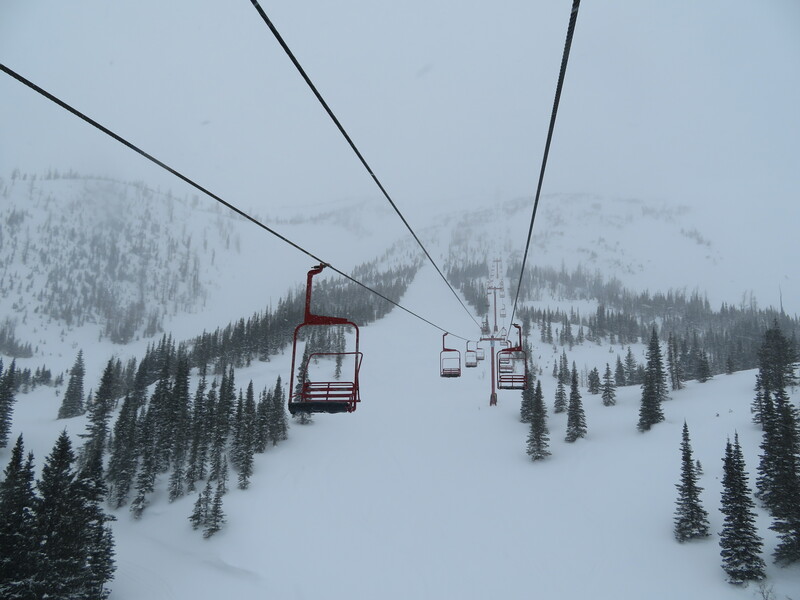 One more lift out of a planned 30 was built in 2008 before a mountain of debt and the global financial crisis nearly forced Revelstoke Mountain Resort to close. Now controlled by giant hotelier Northland Properties of Vancouver, the jury is still out on Revelstoke’s viability as a billion dollar destination. Another public to private transaction took place in 1996, when a group of 150 skiers purchased Castle Mountain from a nearby municipality to form Castle Mountain Resort, Inc. Castle was privately developed with two Mueller T-Bars in 1965 but became insolvent after a 1976 fire and was rescued by Pincher Creek taxpayers. Just across the continental divide from Fernie, BC, the mountain shares the same dramatic scenery as other Canadian Rockies destinations but without the fancy hotels and high-speed lifts. With a local population only around 35,000 and a three hour drive from Calgary, Castle currently averages only 90,000 skier visits despite its terrific snow and terrain. Some 3,200 acres are serviced by five main lifts and a nearly 3,000′ vertical drop exceeds those found at places like Squaw Valley and Alta. Averaging zero winter rain days at mid mountain (a perennial problem in much of British Columbia) and 350 inches of snow, there’s a lot to love for those willing to make the trek. When the current investors took over, they inherited the two T-Bars, one of which is among the longest remaining in the world at 4,518 feet. Designed to be turned into a chairlift but never actually converted, the dinosaur was named T-Rex in 1996 and these days only rarely drags guests up its 1,670′ vertical. Castle Mountain has installed four new chairlifts since ’96, all of which came used from mountains like Sunshine Village and Beaver Creek. The ski area continues to generate all of its own power with diesel fuel. The famed T-Rex, a beastly Mueller that cost only $67,000 to build in 1965. In 2016, Castle Mountain Resort partnered with Whistler-based Brent Harley and Associates to develop a road map for the next decades of growth with input from the mountain’s shareholders, the local community and other stakeholders. The new master development plan was completed in May of last year and envisions the replacement of most of the current lifts, construction of up to nine new ones and expanded year-round recreational opportunities. The generally parallel T-Rex and Sundance lifts, the oldest on the mountain, are slated to be replaced with one 2,400 pph quad chair in an improved alignment. “the consolidation of these two lifts will increase operational efficiencies while maintaining the visitor experience,” the master plan notes along with saying the T-Rex name will survive. Sundance will be relocated and shortened to support race development programs and provide a much-needed lower mountain option on windy days. The very cool Tamarack Hall that services the summit will stay in its current form. The most dramatic development would be new lift-served terrain on Haig Ridge, part of which is currently reserved for cat skiing. Up to three fixed-grip lifts could go up to the south of the current Huckleberry lift for new intermediate and advanced fall line skiing. 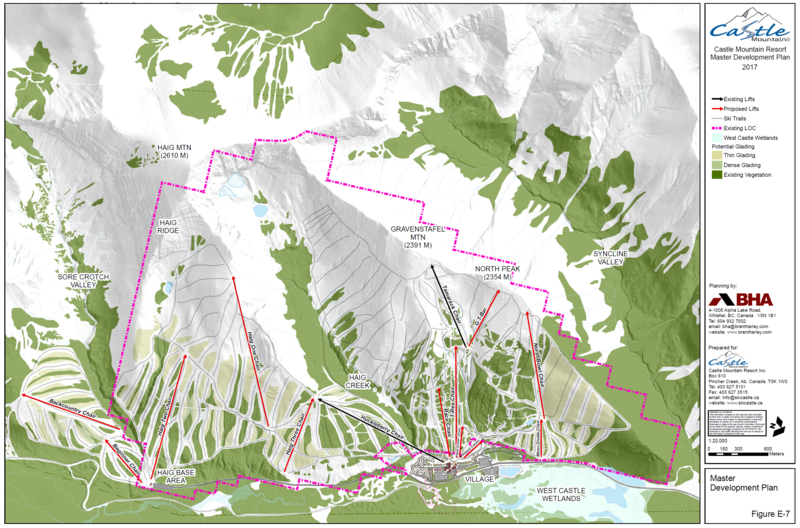 “The Haig expansion would retain the ambience of a backcountry or remote skiing destination, setting up a unique skiing experience for the visitor,” the plan notes. The Haig One and Haig Two lifts would be fixed-grip quads, while the primarily egress Haig Three lift is proposed as a double. Three new lifts are also identified for the North Bowl on the opposite end of the resort from Haig Ridge. 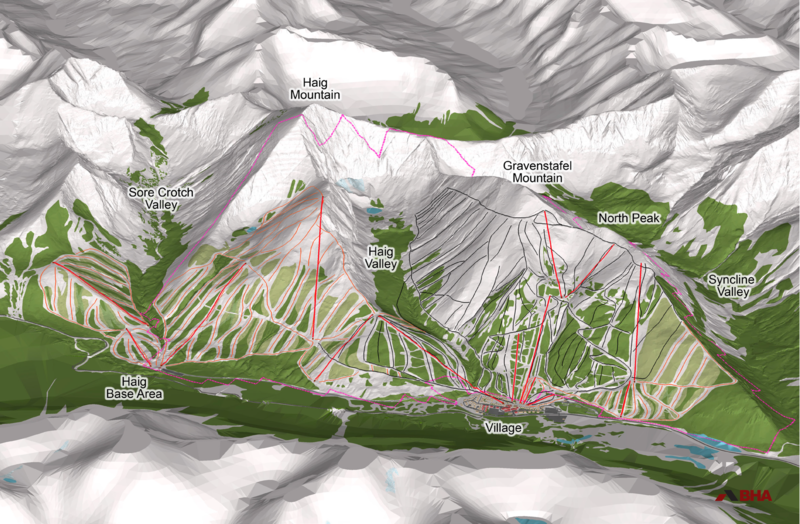 A T-Bar is planned to rise to North Peak from near the bottom of the Tamarack chair. 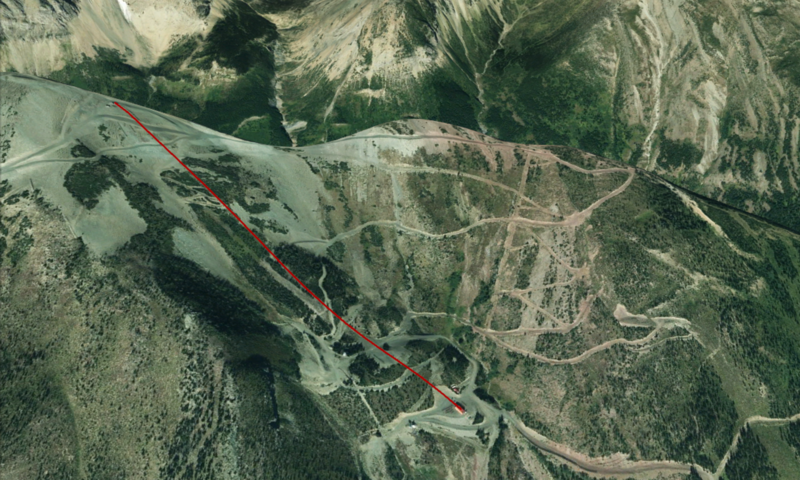 On Google Earth, it appears the line for this lift has already been cut and graded. The plan says a T-Bar was chosen “in an effort to keep the upper mountain open and accessible on high wind days when the Tamarack Chair is unable to run.” A new 4,100′ North Bowl chair is proposed to service advanced terrain below the T-Bar and will likely be a used double chair in the Castle tradition. Look closely to the right of the existing Tamarack chair and you’ll see significant earth work has been completed where the G T-Bar is planned to go. 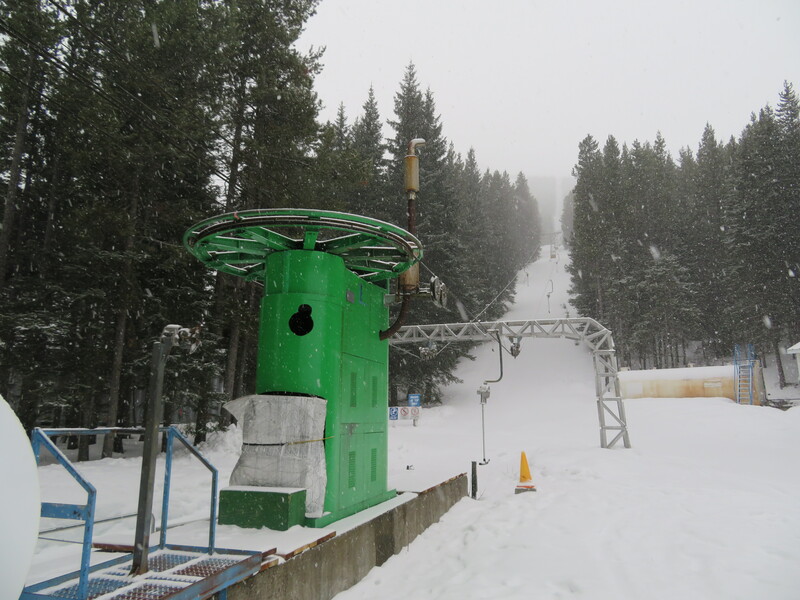 Only four percent of Castle Mountain’s current terrain is classified as beginner, serviced by the very short Green Chair. A realignment of this Mueller and a new alternative to the north are envisioned. The new lift, called Minor Divide, would be a fixed-grip quad rising 420 feet. Visiting makes it clear Castle Mountain will never be a Revelstoke or Kicking Horse, the latter of which relied heavily on real estate sales to build new infrastructure. The opening pages of the new master plan describe Castle as “a mountain owned and operated by skiers who are driven by adrenaline, not profit, that believe that the right combination of dry powder snow and challenging terrain provide experiences of a lifetime for those who live to ski.” The goal of the plan is a modest increase to 156,000 skier visits following the ‘build it and they will come’ principle. With a proven track record of thoughful improvements and new lifts, keep an eye on Southwest Alberta over the coming years if you like it steep and deep. 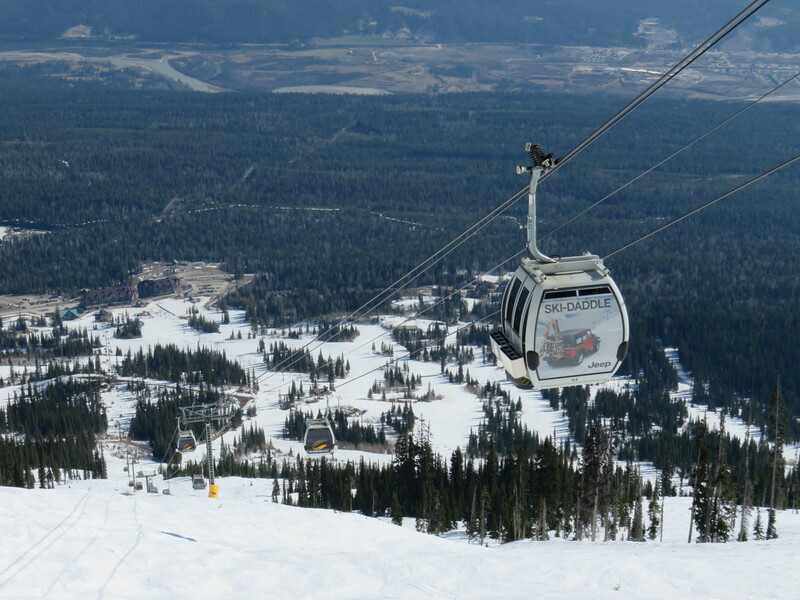 That is a beautiful ride up on Tamarak lift at Castle Mountain. There are plenty of T-Bars left that are as long or even longer than T-Rex.